Joseph Edward Strychalski was born in New York, Ontario and lived in the High Prairie – Joussard area from May of 1989 until May of 2002 when he moved with his family to Fort McMurray. Joe worked various jobs while residing in the area: assistant manager at Turbo, oiler at Buchanan Lumber, IT Support at St. Andrew’s School, and as a bingo caller at the Bingo Barn. Joe also volunteered, helping many organizations needing bingo workers. Joe was a member of the High Prairie Lions Club and worked many Lions Auctions. 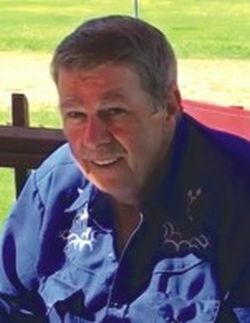 Joe and his wife moved back to Joussard in September of 2014 where Joe lived until his death at age 56 on Aug. 5, 2018 after a courageous battle with cancer. Joe will be missed by: his wife, Dana; two children, Jasmine [Greg] and Logan [Amanda]; his mother; four siblings; father-in-law; mother-in-law; two sisters-in-law; two brothers-in-law; and numerous nieces, nephews and friends. A Celebration of Life was held at the Joussard Community Hall on Saturday, Aug. 11, 2018. Donations can be made in memory of Joe to the Cross Cancer Institute, 11560 University Ave, Edmonton, AB T6G 1Z2. Condolences may be sent to Joe’s family at PO Box 175, Joussard, AB T0G 1J0. Joe’s family would like to thank Kim Frowley and Rosemary Halldorson for providing the luncheon following the service and DJ’s Delights for the donation of squares for the luncheon and to all who helped out in various ways.